This is a Fine Art Abstract Beach Painting, Canvas Print. A beautiful Wall Art of abstract marine subject matter. Categories: Buy a Canvas Print, Surf Painting. Tags: abstract beach paintings, abstract marine, deborah chapin, painting, paintings, award winning paintings, canvas print, giclee print, paintings of water, surf paintings, wall art. 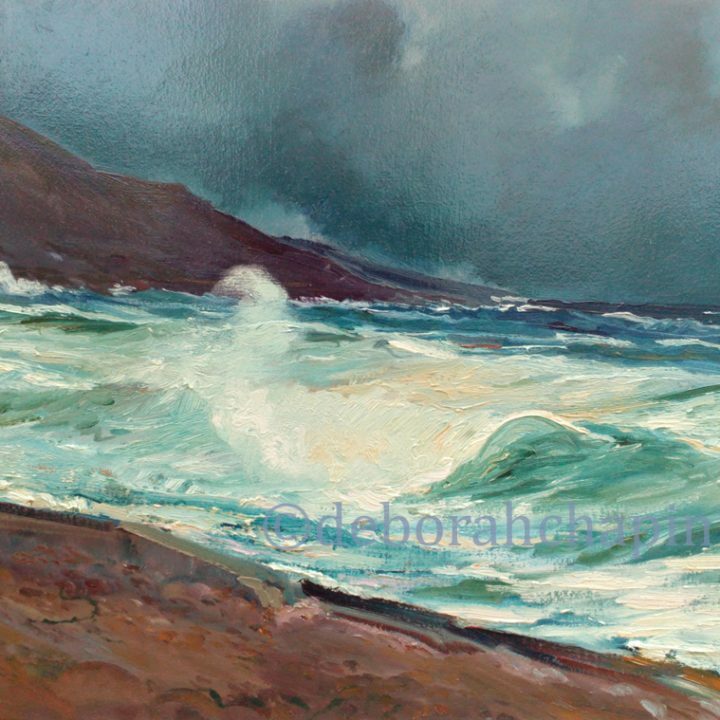 The painting, an original oil painting by Deborah Chapin was painted on location in Brittany. 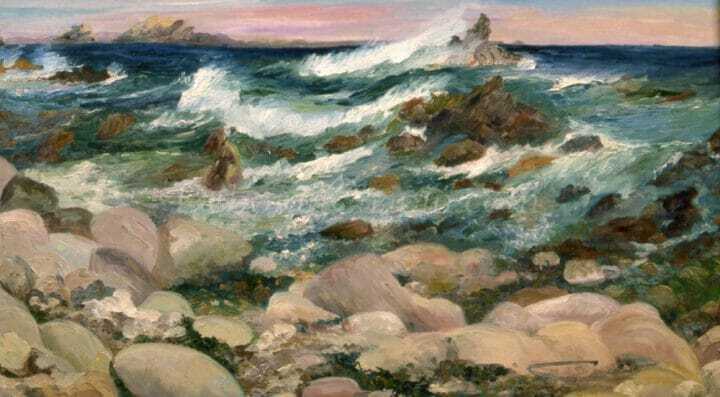 the original painting “Plages des Blanche Roches” was exhibited in a one person show at the National Arts Club, Published in American Artist Magazine, presented in video talk at the Smithsonian American Art Museum. This Wall Art makes a beautiful Abstract Marine or Abstract Beach Painting and a stunning center piece to any room. About the Brittany Beach Paintings: I painted 7 years in France from 1991-1998 5 of those included projects painted in Brittany France. I had continuous showings of these works each year as well as work from other locations in France during this period. 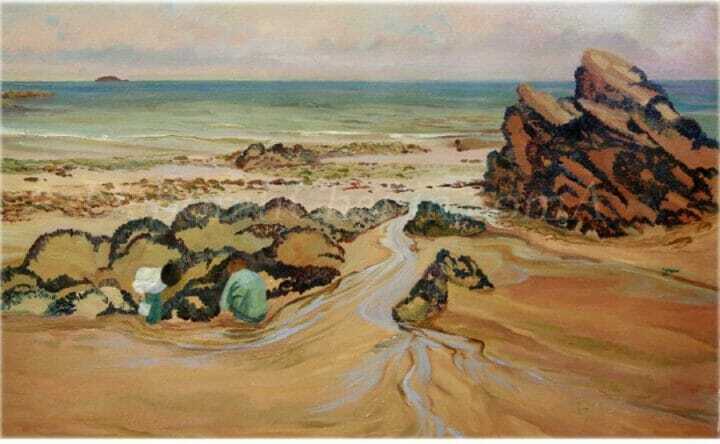 I loved the Brittany coast and in particular the rugged surf and coastal pieces but also the tranquil nature of peace and rest associated with the beach. 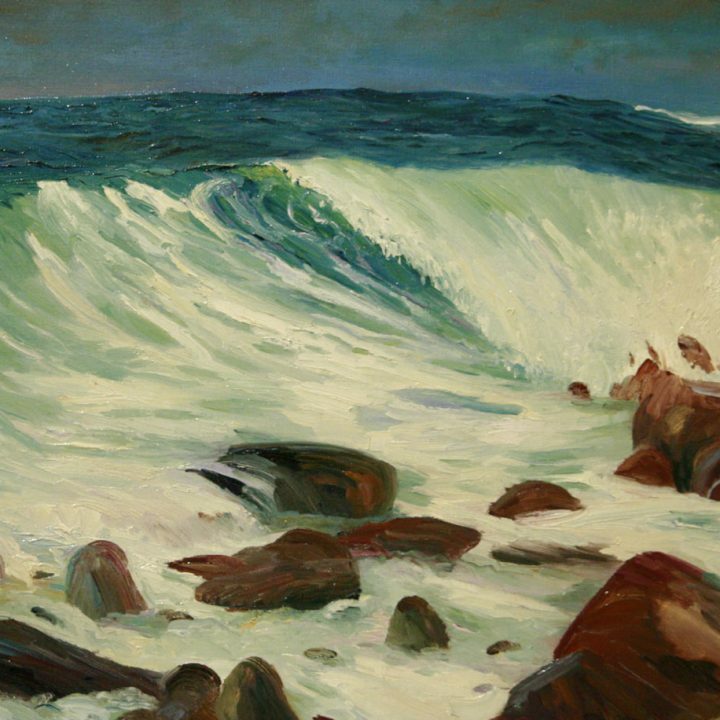 In painting over 150 original oil paintings which included abstract marines, coastals, harbor scenes, sandy beach paintings I also painted a significant number of scenes with people, houses and local life. 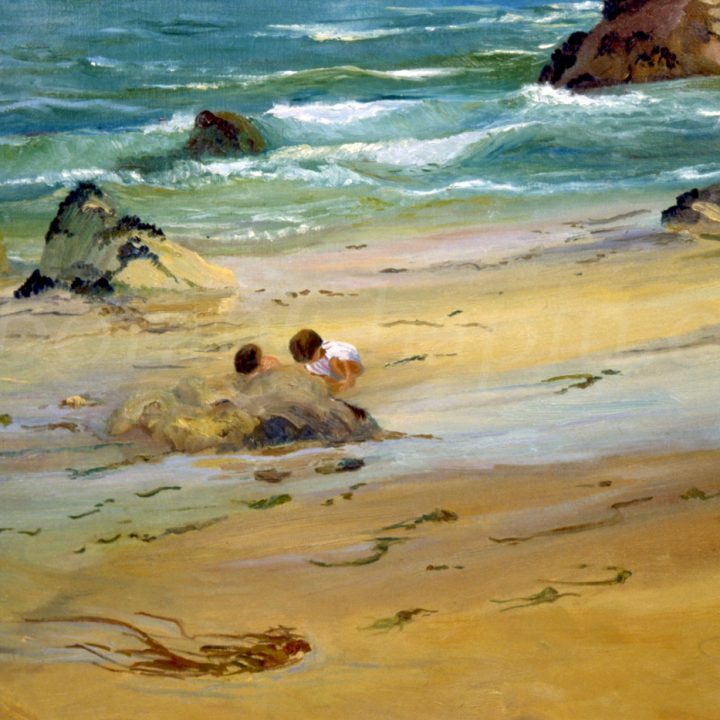 The next 30 years I expect to be doing a combination of unusual portrait work and collector’s favorite, my beach scenes with people. If you have questions feel free to ask.